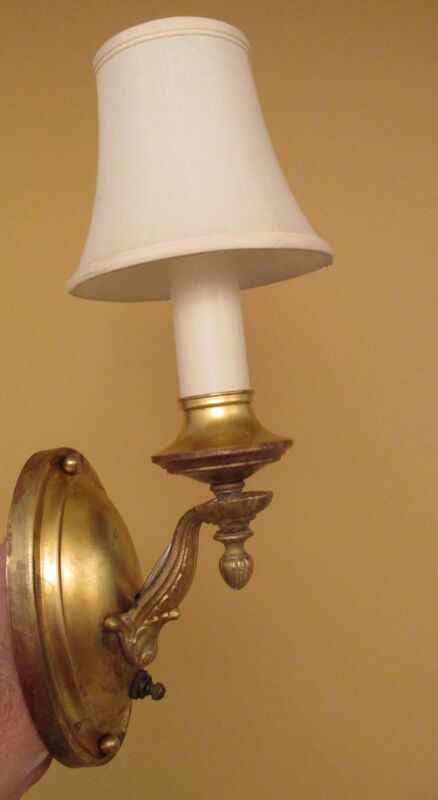 I found a pair of 1920s pan-style sconces online. Caked with paint. Caked!l Still, the sconces seemed to have nice lines, and I liked the acorn finials under each arm. This was revealed under all the paint. I removed six layers! One layer was turquoise! Originally, the sconces would likely have been painted (but not with six layers! ), however in the absence of any confirming evidence I left the slightly mottled brass As Is.